Are we underdogs in the global arena. After competing in an international business competition, two local students don’t believe so anymore. 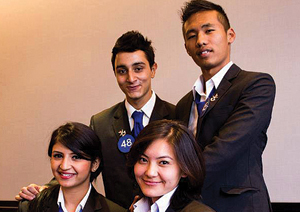 ‘Win the Nepal finale and get to represent your country against 23 other countries in a global platform in Johannesburg, South Africa.’ The announcement was a call for applicants to apply for Chartered Institute of Management Accountants (CIMA) Global Business Challenge, an international business competition for undergraduates from around the world. The competition did sound a bit demanding and challenging, however we realized it was a chance to show that students from Nepal can stand toe to toe against students from any part of the world. Deciding to study in Nepal, we have had concerns if we are as competent as our friends who are studying abroad. The world today is very connected, and one has to be competitive not only locally, but globally. And it is hard to be sure of one’s capacity without having the exposure. We would say we are both ‘good students’ –a tag you get when you score good grades–. But we would prefer to be judged on a different parameter; with something that goes beyond the length of a 3-hour exam. So, we took on the challenge. We submitted a long and detailed report on a case study which was based on a fictitious company facing serious business issues. After the initial selection round based on the report, we made a twenty-minute presentation on the case. We also had to make a two-minute advert showcasing the benefits of CIMA. We worked on the material with the mentorship of Prashanta Manandhar. Our videos and report were liked, and we were selected to represent Nepal in CIMA Global Business Challenge 2013. The joy of going abroad for us first-timers was already a highlight; and adding ‘fully sponsored’ to it, made it ever better. The lavish food in five star business hotels, the VIP treatment and a tour of beautiful Johannesburg almost made us forget the competition. But we were pretty serious on giving it our best because this was not just about representing ourselves, it was about representing Nepal and competing against the likes of China, Russia, UK, India, Australia and other more developed countries. The draw wasn’t too kind on us as we were drawn in the same pool as Russia (the eventual winners), Ireland, UK, India and Australia but given the enormity of the occasion, we couldn’t complain. And so the big day came and we lined up to present at the end as stated by the draw. We had twenty minutes to sum up months of practice, sheer hard work, endless discussions and countless sleepless nights. We presented according to plan, and it went nice and easy with good flow. We could have collapsed at the sight of the judges – hot shots from Barclays Bank and Unilever, but instead buoyed by their smile and support, we delivered. We complemented each other during the question and answer round; answering each question with much detail, and being quick and spontaneous at the same time. We could sense we did well when the roomful of participants who stayed back after their own presentation gave us a loud cheer. We were often asked what our specialization is, a question that we found difficult to answer because we haven’t specialized in anything yet being third year students of Business Administration. 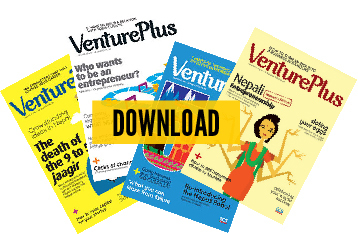 But when you think of how we were able to get all the financial figures spot on unlike many other teams (as mentioned by the judges) and that our recommendations on the first scenario in the case paved the way for the second scenario, you wouldn’t think too negatively about the educational scene in Nepal. Through the CIMA GBC, we had a global stage to present on, explore our strategic capabilities as business consultants, as well as get our creative juices flowing in the course of making an advertisement for CIMA. It provided us with world class networking opportunities with top global companies and a platform to meet people from 23 different countries. Judging by the reviews we got for both the presentation as well as our advertisement, one thing was clear: we Nepalese can compete globally. It’s really about pushing ourselves to go that extra mile and being competitive rather than just banking on the degree we are enrolled with. The message is this: explore, grow, conquer.